Hyperloop One is in Washington on Wednesday, presenting to policy makers and others in the nation’s capital details regarding its progress, and revealing 11 teams from the U.S. presenting proposed routes across 35 cities. The 11 U.S. teams will join the group of 24 other proposals from around the world, competing to become one of 12 total finalists, of which Hyperloop One will eventually choose three to work with more closely to bring the projects to fruition. The company has some more immediately tangible news, too: It finished installing the tube component of its DeveLop test track, the 1,640-foot long full-scale testing site which will help it ready levitation, propulsion, vehicle control and vacuum pressurization technologies ahead of a commercial launch. Hyperloop One approaching readiness to test its tech with a system that resembles what a final version would look like is a huge step, which is why it’s so interesting to see the teams from U.S. states describe how the real thing might change economies and transportation. I spoke to Hyperloop One SVP of Global Field Operations Nick Earle about the proposals they’re seeing from stateside teams, and how those compare to other global proposals. The U.S. projects include routes for pure freight, passenger transit and a mix of both, ranging from just 64 miles in length, connecting Boston to some smaller Massachusetts towns, to 1,152 miles, bringing Colorado and Texas together with a Cheyenne to Houston route that would prove useful for the military industrial and aerospace industries. A Columbus-Pittsburgh-Chicago route would link the midwest, and Reno to Las Vegas would connect two huge new Nevada manufacturing hubs to create a supercluster separated by a significant geographical distance. The Florida proposal, which includes a link-up between Miami and Orlando, struck Earle as representative of what kind of potential the proposals hold across different types of transit. One proposed U.S. route would connect Florida cruise ports to Orlando for a quick inland trip to theme park attractions. 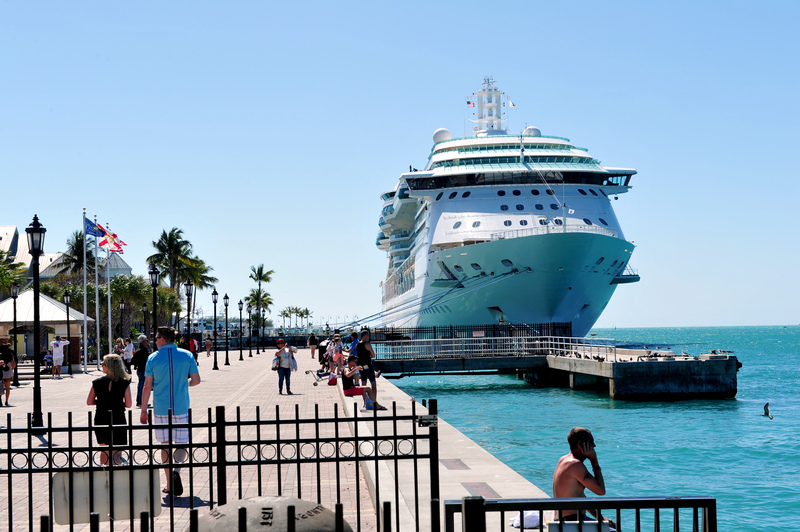 Florida has three sources of traffic: Cruise ships, perishable goods and tourists who fly into airports. Those three feeder systems give ridership, which tallies up the money on the fare box for the routes, which attracts private-public partnerships that help drive down the public subsidy needed and make it much easier to economically justify Hyperloop projects, in addition to the obvious theoretical benefits that result from having high-speed transportation. Earle said that what was maybe most surprising about the submissions they received, and the finalists they chose, is that they often came from the top: state civic planners and transport authorities looking to help make boost the competitiveness of their jurisdiction. In the end, Earle says, all the projects are about fostering state-to-state competition, and that could lead to side benefits that bring cities and the communities that surround them closer together. That’s a long-term vision, Earl stresses, and not something to look for in the immediate future. But it’s still a powerful idea regarding Hyperloop’s potential, and one that resonates with Earle’s earlier comparison of the technology’s development to the progress of digital networks. The 11 finalist routes submitted by U.S. teams.